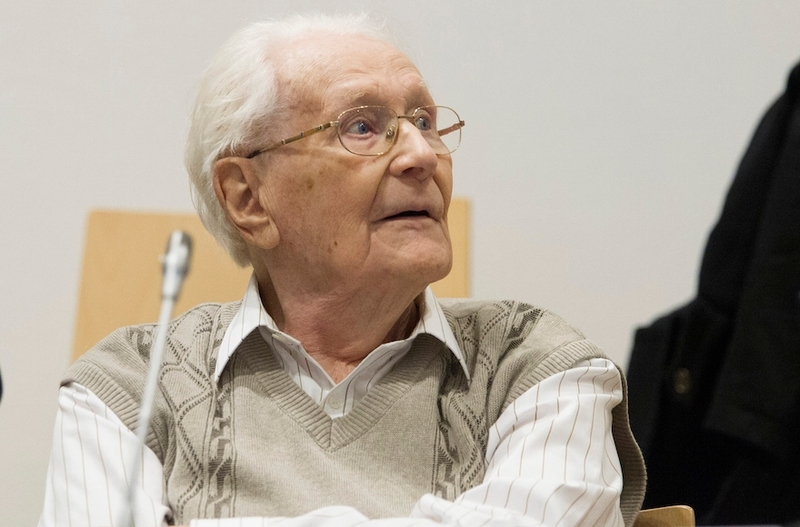 (JTA) — Germany’s highest court has ruled that a 96-year-old former Auschwitz guard should serve his prison sentence for his role in the murder of 300,000 Hungarian Jews at the concentration camp. The constitutional court, the country’s highest court, on Friday rejected Groening’s appeal, ruling that he could receive appropriate health care in prison, and that his jail sentence could be “interrupted” should there be a change in the nonagenarian’s health. “The high age of the applicant is in itself not sufficient to refrain from enforcing the criminal penalty,” said the court, AFP reported. Groening, nicknamed the “Bookkeeper of Auschwitz,” had admitted to being tasked with gathering the money and valuables found in the baggage of murdered Jews and handing it over to his superiors for transfer to Berlin. He said he had guarded luggage on the Auschwitz arrival and selection ramp two or three times in the summer of 1944.